CBS has announced that popular actress Nia Long will be joining the cast of NCIS: Los Angeles as a series regular. She will be introduced in the ninth season premiere which will start on M-Net 101 in November 2017. An exact date will be announced closer to the time. Long will play the team’s new executive assistant director, Shay Mosely. As a former Secret Service agent now working for the Naval Criminal Investigative Service, Mosely is an experienced Washington insider who brings an east coast style and demeanour to the west coast team. 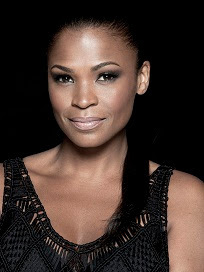 Since making her feature film debut in Boyz N the Hood, actress Nia Long has gone on to star in more than 50 movies and television shows. Some of her notable film credits include Friday, Soul Food, Love Jones, The Best Man, Boiler Room, Big Momma’s House, Alfie, Are We There Yet?, Big Momma’s House 2, The Best Man Holiday and Keanu. Long is the ambassador for the United Nations Foundation’s Nothing But Nets programme, a global, grassroots campaign to save lives by preventing malaria. She will be traveling to Tanzania for the campaign, to visit the world’s largest refugee camp where she will meet with refugee families and distribute insecticide-treated mosquito nets that help keep families safe from the disease. NCIS: Los Angeles stars Chris O’Donnell, LL COOL J, Linda Hunt, Daniela Ruah, Eric Christian Olsen, Barrett Foa and Renée Felice Smith. It is produced by CBS Television Studios and the new season (nine) will air exclusively on M-Net 101.